Time to take advice from the fittest man in the world. 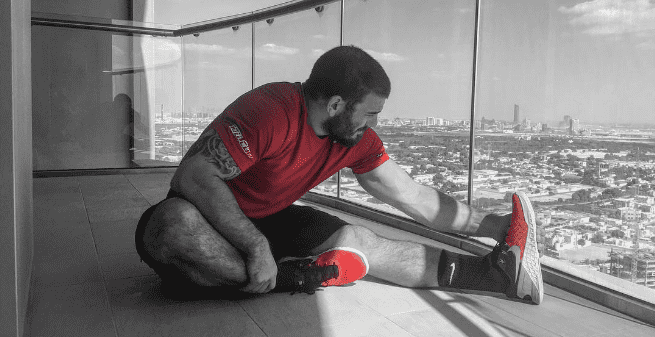 This phrase is fast becoming Nike athlete Mat Fraser’s motto, and the message is simple. It’s not about talent, it’s about grit, determination, focus, (wo)man hours and discipline. Hard work pays off. There is simply no substitute for hard work. The work must be focused, intelligently planned and have a clear goal in mind, but without the grunt work, it will not succeed. You must give yourself the best possible chance to succeed. Mat perfectly exemplifies this ideal. In the colder, darker months of the year this is especially important. You must understand your ‘why’. Why are you choosing to wake up early and train? why do you want to be better? Why will you put in the hard work? 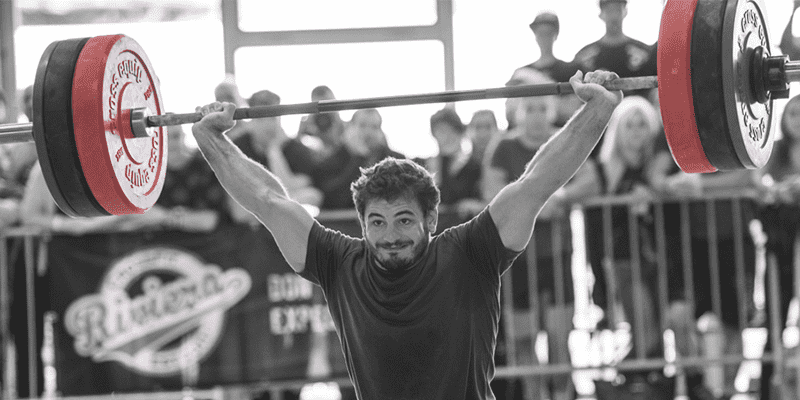 By the time Mat had recovered from his injury and discovered competitive fitness, he had years and years of strength and lifting experience under his belt, which gave him a huge advantage over many of his competitors. We don’t all have his elite background, but he shows us that a decent foundation of strength will set you up for a strong advantage in any kind of programming, competition or workout. Program your strength work and build those foundations. 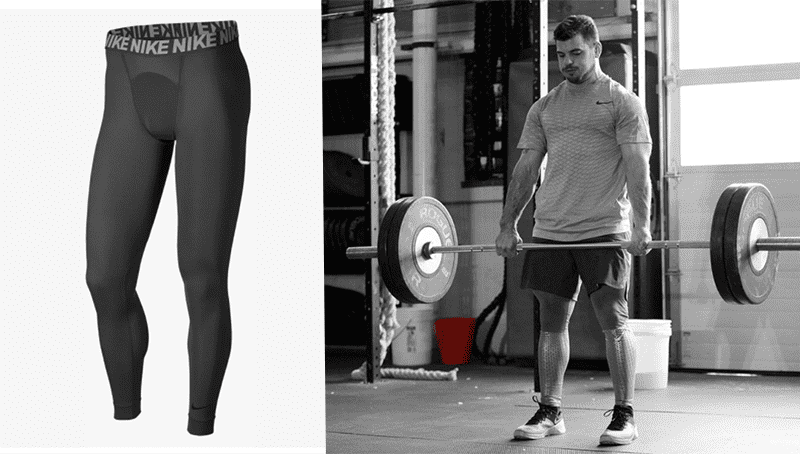 Mat Fraser is a Nike athlete, and helps to test and improve their training products. Designed for the fitness-driven athlete, Nike Training Utility Clothing features sweat-wicking technology to help keep you dry and comfortable during your workout. 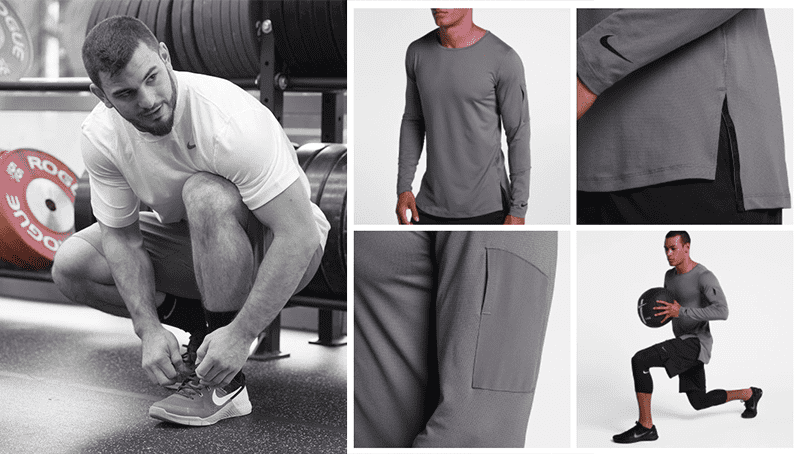 Utility represents the most premium apparel in the Nike training collection and is designed to be effective across a broad range of different conditions. 5. LOVE WHAT YOU DO / WHERE ELSE WOULD YOU RATHER BE? If you enjoy your training, then it will make it much easier to stay focused and motivated. After Mat recovered from his back injury, he did one final weightlifting competition where he hit a couple of targets that he had been working towards for a long time. He walked over to his coach, who gave him a congratulatory hug, and told him ‘I’m done’ before leaving competitive weightlifting. He went out on a high and needing a change, moved out to an oil patch town called Rocky Mountain House in Alberta, Canada. There he worked for 4 months on the rigs pushing 90 hour weeks. There were no days off, only when it rained. After the summer was out he started college, and rediscovered his love for training. Taking time away made him miss training, and it was at this point that he discovered the new sport that he has been so successful in. Everything slotted into place and his passion for sport was rekindled. He shows us that it is so important to remind yourself why you have chosen to do this. If you can combine your passion and motivation then you will become a strong, tough and unstoppable athlete! Passion is a powerful motivator, and Fraser exemplifies this exceptionally well. You should ask yourself the same question every day. Mat Fraser is exceptionally good at finding something he isn’t good at and then destroying that weakness. Having spoken to many top athletes in the sport, a great deal of them cite this as one of the reasons why they think he is so good. When he once did poorly in a rowing workout, he trained on his machine every day for a year just to get better. When he was defeated by “The Pig”, he went home, bought one and then flipped it until midnight each Sunday just so he knew that if it came up again he would not lose to it for a second time. Mat doesn’t just work on his weaknesses, he annihilates them. This mode of working is almost impossible for anyone that also leads a busy family life and juggles another career as well, but it should serve as inspiration for the standards you set for yourself. Working on weaknesses is as much about being able to remove your ego and be honest about what you are, and are not, good at. To improve his sprinting Mat trained with a local high school. He was a guy in his twenties getting beaten by teenagers, but he removed his pride and set out to learn all he could. This is an incredibly humble way of working, and takes guts to do. Try it now. Write down 5 exercises that you know you could improve then think about what steps you will need to take in order to do so. Take the right steps to become a better, harder working and more humble athlete.